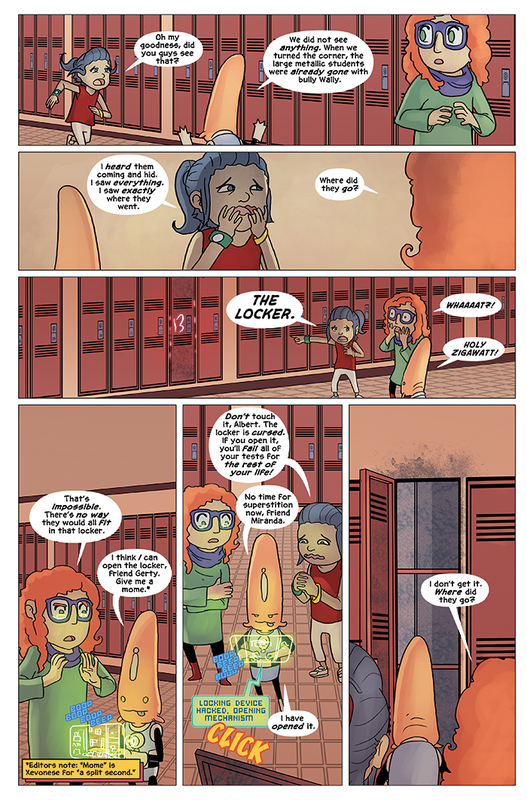 Today’s Albert the Alien shows the inside of the mysterious Locker #13!!!! But wait, what’s this? It just looks like a normal, empty (dirty and unused) locker! How can that be? TREVOR: Ha ha ha, I think it’s funny that Albert can hack the locker combination when it’s not networked – too funny. TREVOR: We can easily sum it up like this: it’s ALIEN science! The usual laws of physics and logic don’t apply. So, to anyone out there who was wondering how Albert used a holographic computer to hack and unlock / open a physical (and non-networked) locker, there’s your explanation. So what’s the real story with Locker #13? We’ll find out next week! And please come back every Wednesday and Friday for more Albert the Alien!